Everyone is concerned about a dentist recommending a Root Canal. Here is a detailed description of everything one should know about root canal. “Root canal” is a single term referring to two things. First, it is a part of the tooth containing nerve tissues, blood vessels, and pulp or tissues. Second, it is a term used for a cavity present inside of the tooth. Root canal therapy, a procedure also known as endodontics therapy, is used to remove infections from the tooth by removing the decayed pulp followed by cleaning and fixing it. At first, the patient is given local anesthesia to numb the damaged area of the tooth. An access hole is made into the tooth. A rubber dam is attached which helps to isolate the tooth under treatment making the area free from any disturbance caused by saliva. After the rubber dam process, the decayed pulp along with the bacteria and everything else present in the root canal is removed. This step is the cleaning step. Now that the infections are eliminated, the next step is to fill that hollow area and then sealing it using sealing materials. The tooth becomes weaker than before because of the absence of pulp. The pulp’s function was to provide nourishment and protection for the tooth. To fulfill that requirement, a crown (a tooth-shaped cap) is placed over the remaining tooth. Crowns helps to maintain shape, strength, and protection of the tooth. When the pulp is damaged, and bacteria enter it, it cannot cure itself. As a result, the tissue in the pulp dies. Bacteria spreads and destroy the pulp. 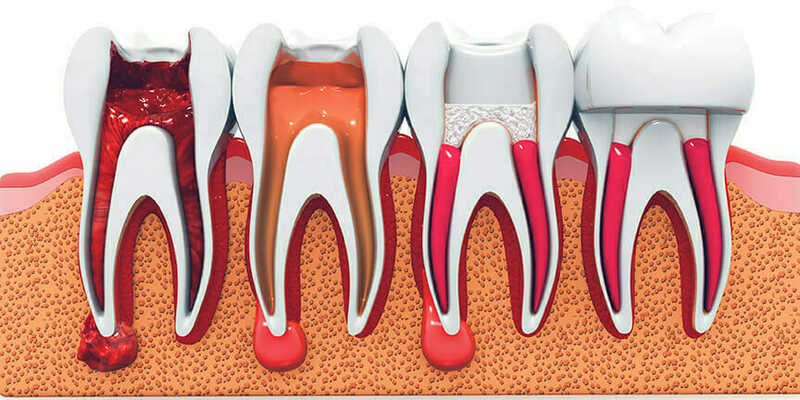 Without treatment, infections reach the bone which loosens and weakens the tooth resulting in severe pain. If the treatment is not done on time, the tooth cannot be repaired. In this case the natural tooth cannot be saved. extraction of the tooth is the only option. The best choice is to get root canal therapy on time. No need to worry about this topic. Any medical treatment can result in complications. You should not expect any when you provide proper care. Some complications may result if a canal is left untreated. Suppose, there are five root canals infected but your dentist only examines four. This might leave one of them untreated. In this case the infection will continue growing. Other problems occur when filling and sealing of the root canal is not done correctly. Rarely, the root of the tooth may crack making the treatment difficult. It is therefore essential to get a dentist with appropriate experience. 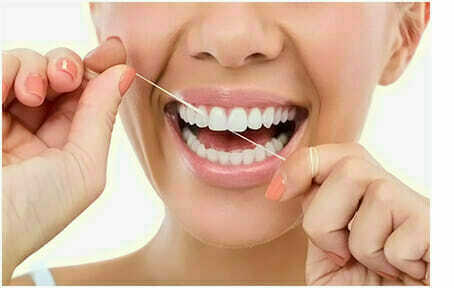 To avoid complications, the patient must follow the instructions and prescriptions given by the dentist carefully. There are many reasons that root canals are a better choice than tooth extraction. – First and the most critical, root canal therapy saves the natural tooth. Extraction involves its replacement. The root canal removes the infections and pain altogether. You can continue enjoying the food you love, your natural smile, etc. Root canals cause less pain compared to extraction. Root canals takes less time. Extraction costs far more than rooth canals. You will need a replacement for your natural tooth to fill the missing space. These are very costly. Extraction leaves you with weak teeth and problems in chewing. No other treatment can replace root canal therapy in terms of the benefits offered. Brush their teeth morning and bedtime every day. Use a toothbrush and toothpaste as preferred by your dentist. Changing toothbrushs on a regular time interval. Get regular dental checkups and teeth cleaning. Floss daily and whenever something gets stuck in between the teeth. For more details on dental care or any oral surgery, call our office at (951) 296-3011 and/or refer to our website at https://promenadedentalcare.com.